For the last two months of his life, Vincent van Gogh lived outside of Paris in the small town of Auvers, France, under the care of Dr. Gachet. 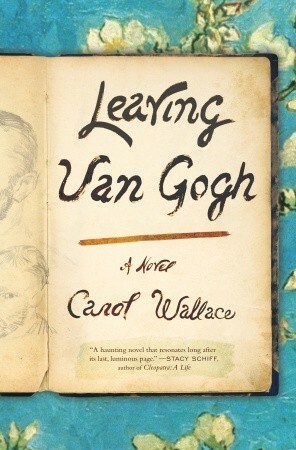 In Carol Wallace's novel Leaving Van Gogh, Dr. Gachet narrates the events of that short time period and provides a window into van Gogh's mind toward the end of his tragically short life. Vincent van Gogh is such an intriguing character. He was undeniably an artistic genius, though many at the time didn't recognize his brilliance because he was too far out of the mainstream of his day. His relationship with Dr. Gachet is likewise fascinating. While they only knew each other for a brief time, it was during those critical days leading up to van Gogh's death and it's impossible not to be curious about how it affected them both. As a specialist in mental illnesses, Dr. Gachet would have been familiar with cases like van Gogh's, perhaps thinking he had some particular wisdom to share, or expertise that could yield some helpful insights. In fact, one of the profound effects Vincent van Gogh had on my life was that he changed the way I saw the world. To this day, I look at the shadow beneath a bank of willows and see the brown, the green, the purple tones together, contrasting with the yellow, green, and even orange of the leaves. I notice patterns in the windows of city buildings or the ties of a railroad track, and I am always aware of the relations between colors, like the way a brick wall heightens the intensity of a green vine. I have seen much more beauty in my surroundings since that summer Vincent spent with us. Juxtaposition and contrast is a recurring theme. Madness and genius, calm and fury, companionship and loneliness, love and hate, beauty and ugliness all appear wrapped up together, each heightening the intensity of the other. Leaving Van Gogh transported me to Auvers-sur-Oise in the summer of 1890. I felt like I was observing van Gogh as he painted, struggling against the depression and confusion in his own mind, finally despairing when the art stop flowing. This book is beautiful, brave, and impressionist, just like the best of van Gogh.